The Black Marble Pinnacle Award is truely an award with style and class! 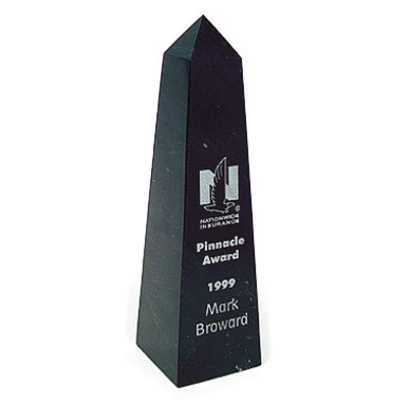 The engraving reveals a beautiful white contrast against the black marble. 2" x 2" x 8"